I use photoshop. I think it is the best because you can enlarge the photo and blend the person in the background at the 1 pixel level. Will be blurry as you are doing it but you can not tell. Video editing. Depends on how detailed you want to get. Movie maker is great for free software. i use it all the time at work. You can add effects, adjust sound levels, etc. Adobe photoshop. Go to adobe.com and download a free trial. Picnik, FotoFlexer or Lunapic are great all round web based and FREE editing tools. Adobe, makers of the expensive Photoshop, now has a free website version in Photoshop Express. If you need/want more features downloading GIMP is a great options. Still free, but you have to download the software. There are also free tools to add text blurbs, to make collages, to put your photo into other images. There are a number of tools that allow you to put the image of a face into other photos for some fun creations. Check out the links below for more ideas. Photobucket is a great web based and FREE editing tools. The software behind it comes from Adobe who make some of the best commercial ($$$) photo and video editors. Also check out Jaycut which allows you to export and save your videos! If you need/want more features downloading VideoSpin, VideoPad or VideoThang are great options. Still free, but you have to download the software. 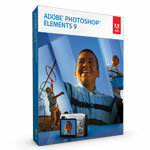 For under $100 you can buy Adobe Premiere Elements. There is also new freeware version of Windows Movie Maker that works on Windows Vista, XP and even Windows 7. Microsoft has added and deleted features from each version and this version has all the features from each version plus some extras.